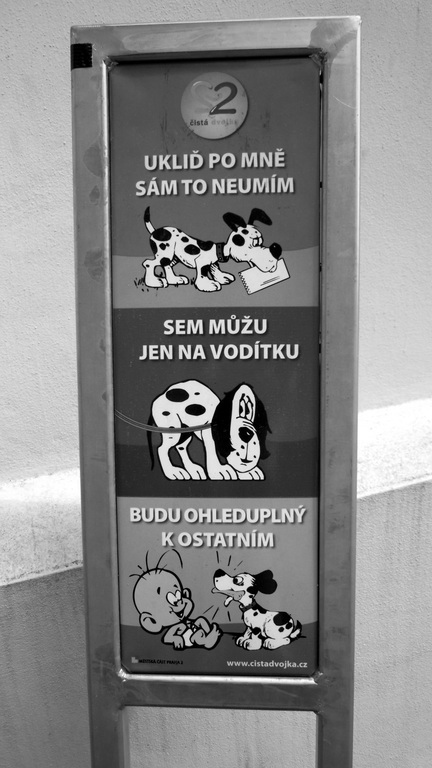 “I can only go here on a leash.”, “Clean up after me, I can’t do it myself.” “Be respectful to others.” These are three headings above three pictures of dogs in the park. We always read them when we pass by. Kryštof (3 years old) already points with his finger and syllabifies. He points so exactly, that you at first think he is really reading it. We read more. “Warning” on the little chair, “No entry” on a building site, “wheat pads EMCO” on the food box, “Chicco” on the car seat, “Dinopark” on the gate leading into dinopark or on photos, …. Eli (17 months old) already got as far as standing at the caption and blabbering. She recognizes writing; she points and says she wants “this”, to be read to her. 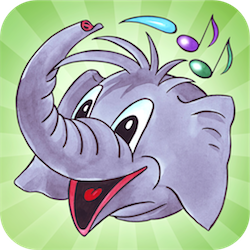 Besides it being fun for the children it’s also, according to the book “Smart From the Start”* , a suitable activity not only for future reading but also for overall development of language.